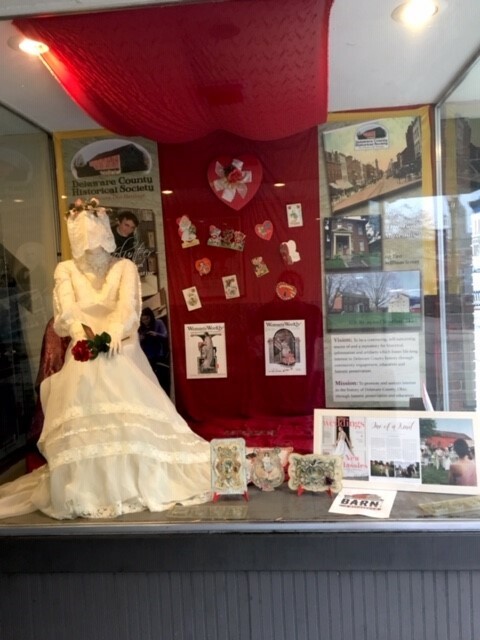 The Sandusky Street display window of The Hair Studio presents artifacts, photographs and articles reflecting themes of Love and Marriage in Delaware County. LOVE candy molds from Nectar Candy Land. We will be using them to make candies for the upcoming Chocolate Walk. the latest article on The Barn at Stratford, our historic wedding venue that has hosted many loving couples weddings. our blushing Bride hidden by her stylish veil in her 1950’s style wedding dress. Come view the Love and Marriage window display and stir up memories of your own. Visit with family or friends and share some memories with them. 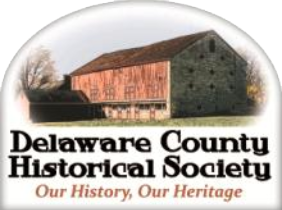 Benny Shoults and Maggie Webb have created a wonderful presentation that brings Delaware history to life through historic artifacts, information, and photographs. 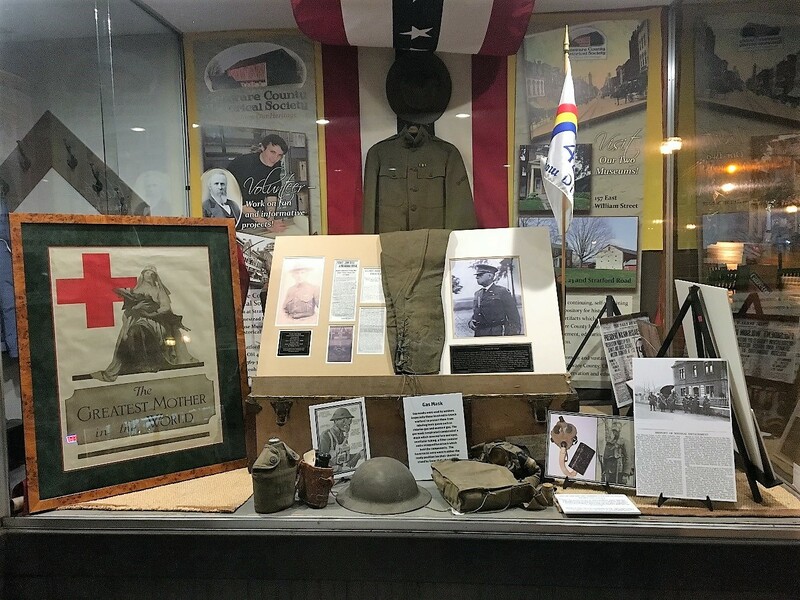 The artifacts in the display are from the Delaware County Historical Society’s extensive collection. Visit the Cryder Historical Center and Research Library at 157 W Williams Street to see more.